In my household, Christmas is a time for family, friends and faith. I was able to go to my hometown of Chico, Ca for the holidays and spend time with my family. On Christmas morning we woke to a white Christmas! Well, for the Northern Sacramento Valley we consider a white Christmas frost. There was a pretty white frost layer on the orchard floor on Christmas morning. My family lives in the middle of a walnut orchard now. In the winter, they just look like giant sticks! In Northern California, a lot of the farmers have started planting walnuts and not as many almonds. Walnuts aren't as susceptible to frost damage due to the cold weather that comes with Northern California. Walnuts also generally require less inputs and man power then almonds. If you drive up highway 99 north of Sacramento you will see more and more walnuts being planted for these reasons.What can I say we are all just nutty! This weekend we had Christmas with my husband's side of the family and we decided to test out the new deep pit. My husband and his father built a 6 foot deep pit out of an old concrete pipe line they dug up when they were ripping the old field out. They dug a giant hole out at our shop yard and stuck this 6 foot pipe in it. At the bottom of the hole they poured concrete so there would be no air pockets or dirt in the hole. That is pretty much all you need to deep pit meat, a giant hole in the ground! So they decided to test it out for Christmas dinner. It's the holiday season and that means Christmas cookies and sugary sweets everywhere. I like to bake an assortment of different kind of cookies and such to have around during the holidays. It comes in handy when your going over to someone's house for holiday dinner, if you forget to buy a friend a gift, or just want to bring some sweets over and brighten someone's day. Of course I like to incorporate almonds as much as I can when it comes to holiday baking. By no means am I an aspiring baker or a Betty Crocker, I just like to bake and have fun in the kitchen. The two recipes I am going to share are super easy and fool proof. I actually acquired these recipes from an email chain around the holidays a couple years ago. First almond recipe: Almond bark. Hedging time on the farm! The temperature has started to drop and it is most definitely winter now. Just a couple of weeks ago, we were still enjoying our 70 degree days and wondering how long fall was going to last for us in the Central Valley. Now that the colder weather seems here to stay, the fall leaves are saying good bye as well. After the leaves have turned their color and winter weather turns to cold, the trees go to sleep for the winter months. The fall and early winter is time to prune the trees and what we call hedge. Hedging is essentially cutting the middle branches out of the center of the rows and creating space for sunlight to reach its way into the rows of the orchard. The trees need sunlight, just as we do, for nutrients to help feed the trees in the development of almonds. The holidays are always a time to reflect on what you’re thankful for. During all the hustle and bustle, it is nice to stop and think about all that we have in our lives. I am thankful for family. Last week was thanksgiving and my family came down from Northern California to spend the holiday with us. I am thankful for the chances we get to spend time together. I am thankful for the memories, laughter and smiles that are created during our visits. Currently on the farm, we are in the process of removing an old orchard and establishing a new orchard. When almond trees are between 25-30 years old, the production starts to decline to a point that the orchard needs to be replaced. When the orchard yield declines, it makes more sense to replace the trees and start the cycle over again. The orchard we are replacing this year is 26 years old, my husband was 2 years old when it was planted! His mother and grandmother tell us stories of when they were planting the field and carry my husband in a baby carrier on their backs. He can't even remember the orchard without trees, and now he is in charge of removing the field and establishing the new one. Welcome to my nutty life! Welcome to my blog! I hope to take you on a journey of what it's like to be a farmers daughter and a farmers wife! 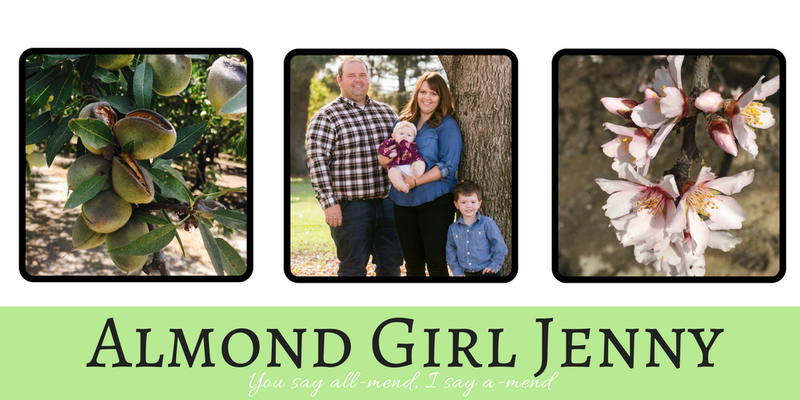 I grew up in Northern California where my father farms almonds and walnuts. 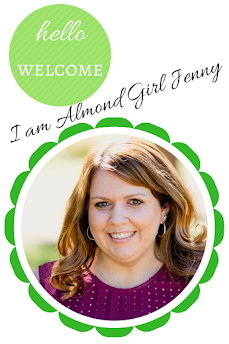 I went to college and met my husband who's family farms almonds in the Southern Central Valley of California. I thought it was perfect, one almond farmer falling in love with another almond farmer.